On the Way to ONEderland: What's Your Weirdest Snack? Got a much needed dose of laughter this morning by checking out one of my all-time favorite blog posts over at Pasta Queen. The particular post that got me going this morning dealt with a moment in 2007 when Pasta Queen had a weekend binge. I can relate. Pasta Queen, aka Jennette Fulda, wrote about the strange feeling of relief you get when you let go of your food restrictions and just eat. Yes, it does feel nice to drop that sense of control -- because, for me, I'm often simultaneously feeling anxiety/fear about possibly losing control. How's that for a dichotomy? I guess the relief comes from releasing that tension: I want to have control but am afraid I can't keep myself controlled. So I don't. Ugh -- it's enough to drive a dieter meshuggeneh. Natch, there's a payback. The apres-binge is not so fun. But as Jennette said in her blog, her one weekend of strange eating didn't make her regain 190lbs. So there you have it. One bad weekend does not a blob make. There are some very funny comments from people about the strangest things they've eaten -- jam and Cheerios, sugared bread and butter, for example. Maybe the weirdest I saw was the person who ate a bottle of salad dressing. No judgment, but ... ICK. I used to enjoy bacon and cheese sandwiches, plus bacon and peanut butter sandwiches. Don't knock it -- believe me, that is a gooood combo. I'm struggling a bit today because I went to the gym yesterday and gamely got up on the scale. Unlike last week and the week before, when I had some not-so-great eating but escaped the claws of scale justice, this time I was held accountable. I got hit with a 5lb weight gain. 5 pounds people! I have to blame the Babka. It *really* screwed me up. The depressing fact is that I struggled and struggled and struggled all summer and have managed to lose essentially zero pounds. It's been a constant see-saw -- up/down, up/down, always the same 5 lbs. I'm frustrated. But mostly at myself. I've been making some really sloppy choices. So this morning I really needed that blog posting from Pasta Queen. And this one, from Finding Radiance. It's not over -- it's really never over. You can only make the next best choice. And did I mention that my knee hurts? Yes, it's got a nagging tender spot on the inner joint. Not sure why -- I didn't twist it or strain it yesterday, although I did a lot of walking, biking and elliptical training. I guess it's just sore. 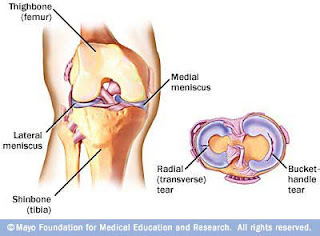 That damn meniscus! The beauty about life is that there is always the very next meal to get back on track and focus on yourself. Sometimes it's okay to wallow around in the muck. It's actually a pretty good thing that you were able to maintain this summer. Look back on that and you will probably see areas to fine tune and ways to improve. I'm always doing that, and you are right - it doesn't ever end! Long time, no post - everything okay?